Temperatures are rising and now that Delft University has presented its latest model solar car, the Nuna8, we can expect some serious heat. 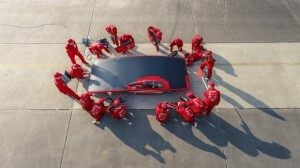 The University of Twente presented it’s model, the Red One, earlier. This’ years Solar Challenge will be more challenging than ever! The World Solar Challenge will be held in Australia starting October 18th. Visit worldsolarchallenge.org for more details.